City of Malolos - Former Third District Board Member Enrique V. Viudez II died last March 9, 2015 at the age of 69, after succumbing to heart attack. He was brought to the nearest hospital but doctors were not able to revive him. On March 13, 2015, his remains were brought at the Senator Benigno S. Aquino, Jr. Hall (session hall), Provincial Capitol for a necrological service (Luksang Parangal) to pay tribute to the deceased former legislator. The necrological service, which was preceded by a holy mass, was attended by local officials, headed by Provincial Governor Wilhelmino M. Sy-Alvarado and Vice-Governor Daniel R. Fernando, and by the loved ones, relatives and friends of the former board member. Former board members who worked with the late legislator also attended, namely, Board Members Eduardo Bernardo, Glenn Santos and Primitivo Tamayo. Employees and department heads of the provincial government likewise attended the necrological service. Representatives from the different offices also attended and took turns in the vigil. On the next day, March 14, 2015, the deceased board member’s remains were brought back in San Ildefonso. 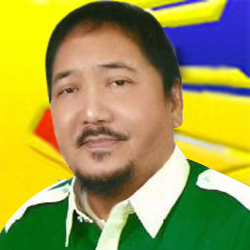 Board Member Viudez or “Boy Asac” to his close friends, was born on August 11, 1945 in Maasim, San Ildefonso, Bulacan. He finished his elementary education at the Malipampang Elementary School, Malipampang, San Ildefonso, Bulacan in 1958 and his secondary education at the Buenavista High School, Poblacion, San Ildefonso, Bulacan in 1962. He took up Bachelor of Science in Civil Engineering course at the University of Santo Tomas and graduated in 1967. A person with charismatic personality and a great sense of humor, Board Member Viudez had his baptism of fire in the political arena when he ran and won as municipal vice-mayor of San Ildefonso in 1995. After one term, he ran for the mayoralty of his town and succeeded in 1998. But not all was rosy in his political career as he lost in the ensuing election when he ran for board member of the third district in 2001. But as fate would have it, in the next election in 2004, he ran again and won. In the succeeding elections in 2007 and 2010, he was re-elected as board member of the third district. However, in the 2013 election, he ran as congressman of the third district and lost. Board Member Viudez’s remains were buried on March 15, 2015. He was survived by his wife, Zenaida Viudez, and five children.